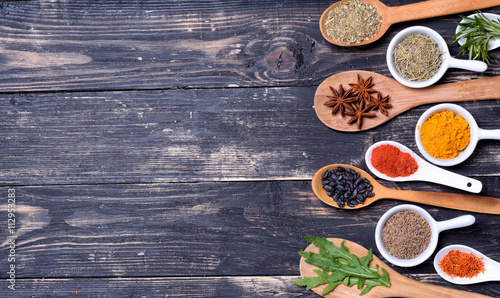 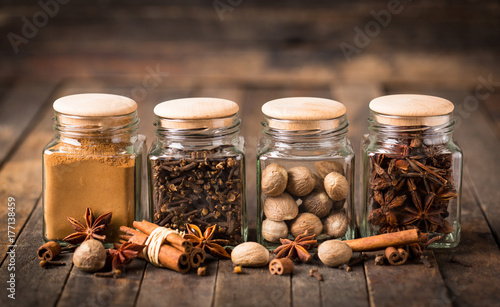 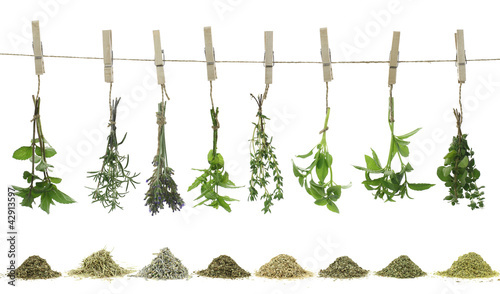 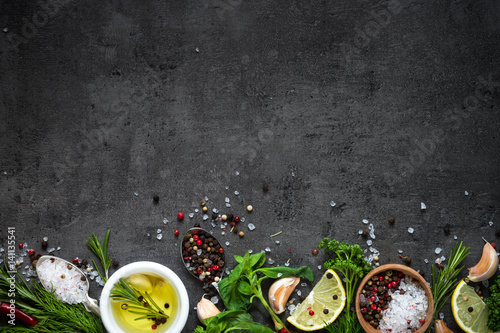 Spices and herbs on wooden table. 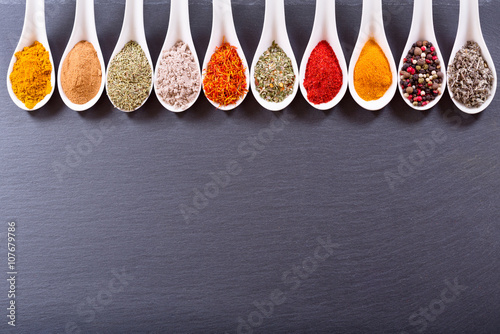 Spices in spoons isolated on white background. 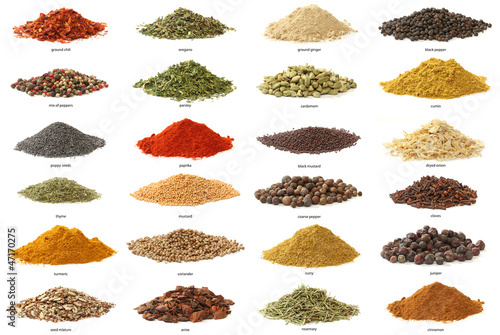 Selection of spices herbs and greens. 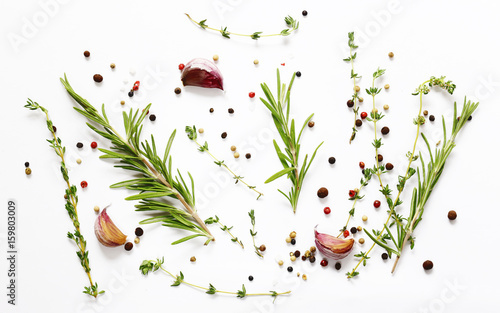 Rosemary basil lemon olive oil pepper top view black background. 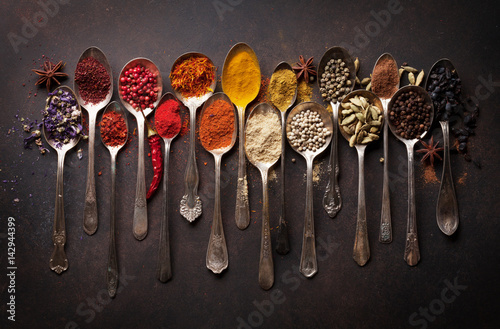 Various spices spoons on stone table. 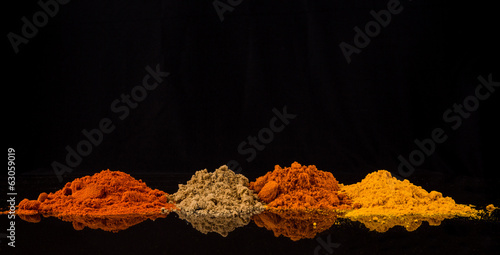 Top view . 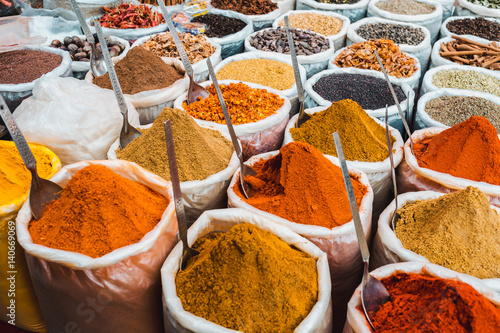 India spices at the local market at Delhi. 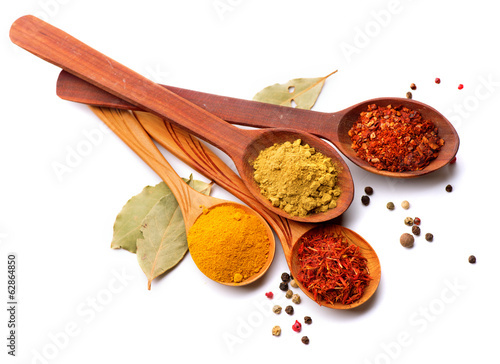 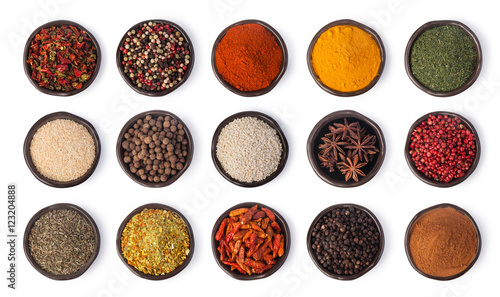 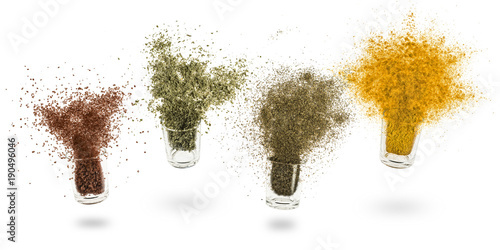 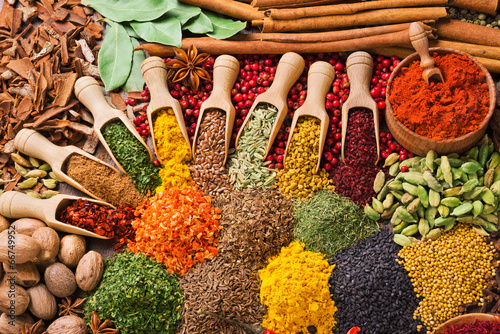 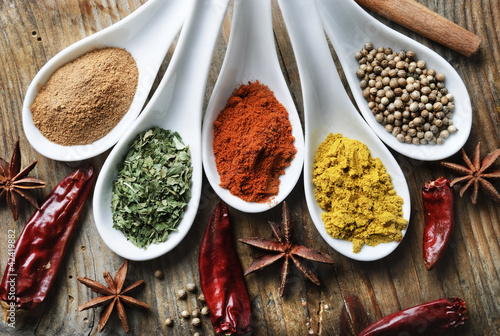 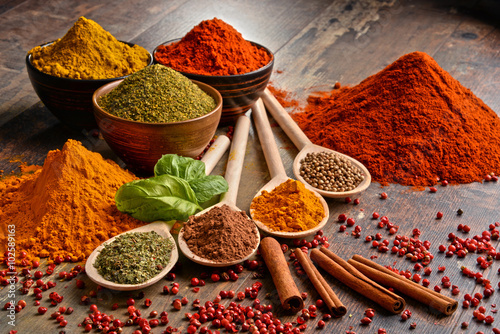 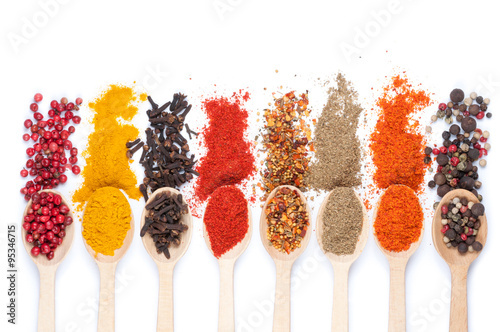 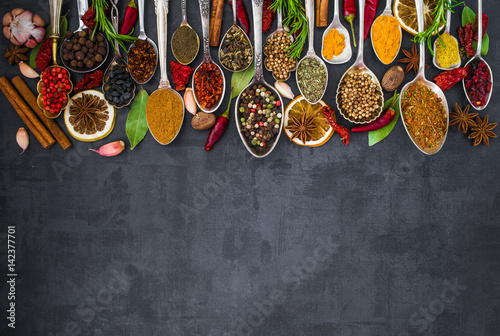 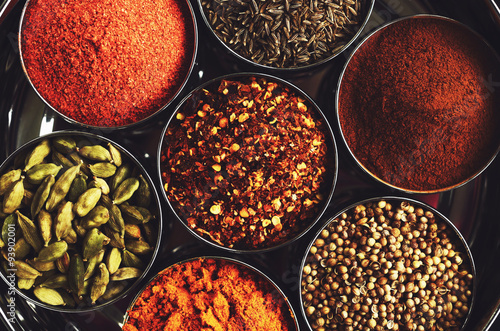 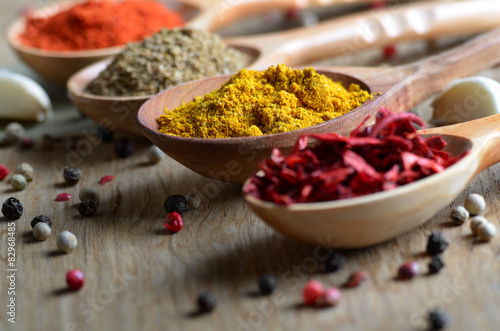 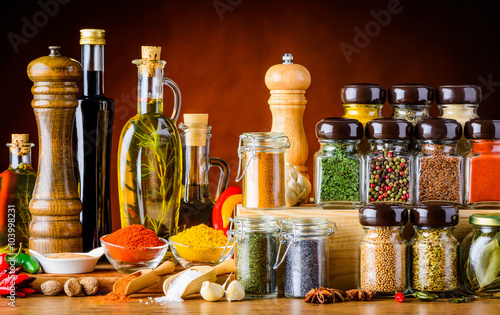 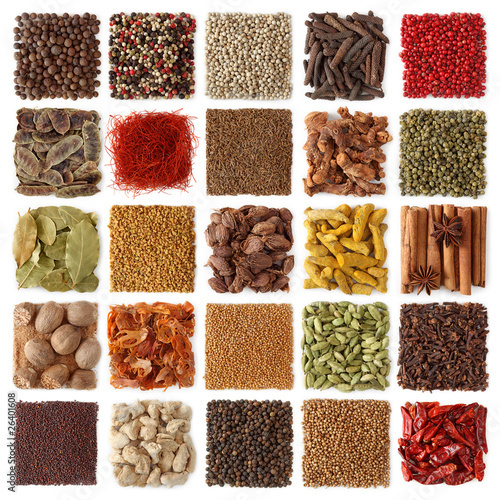 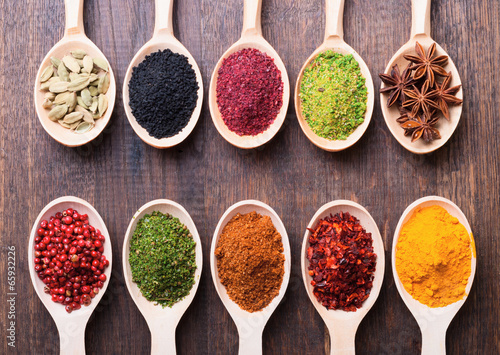 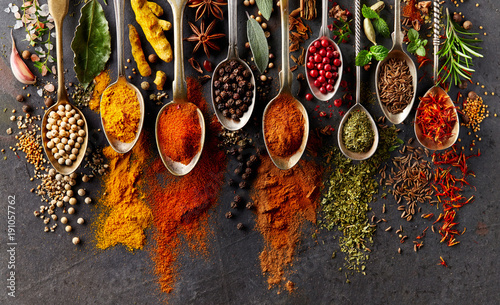 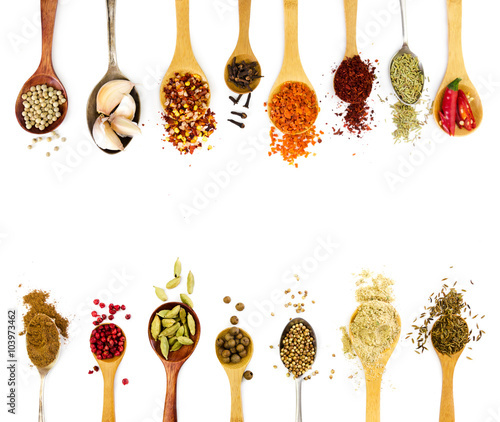 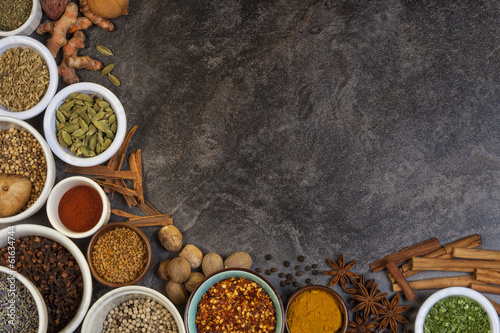 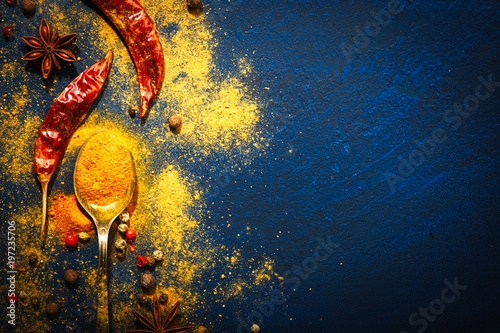 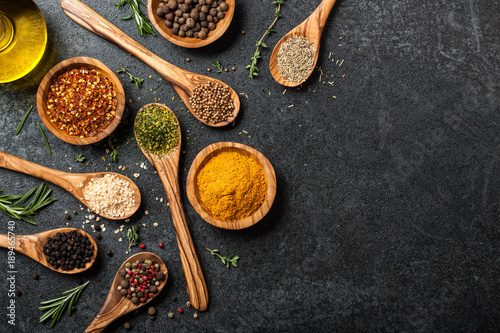 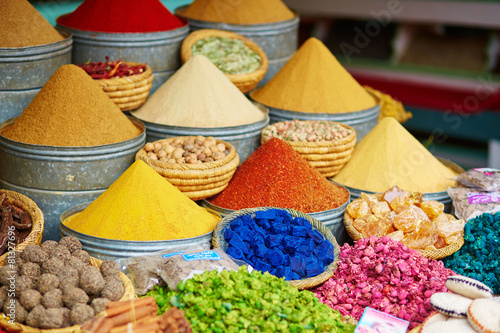 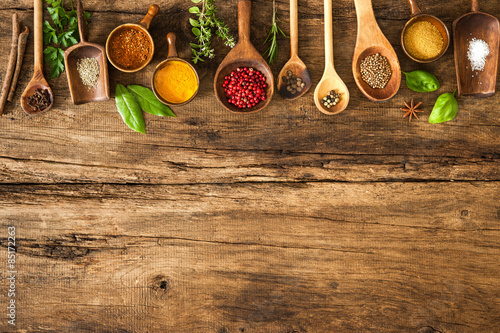 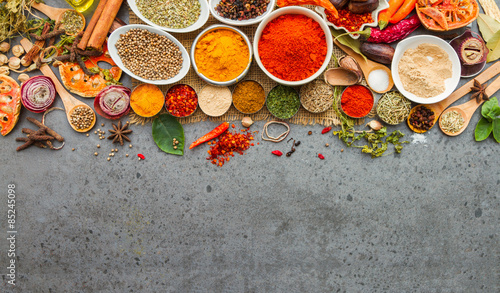 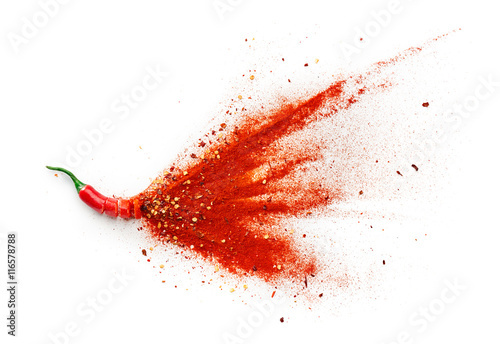 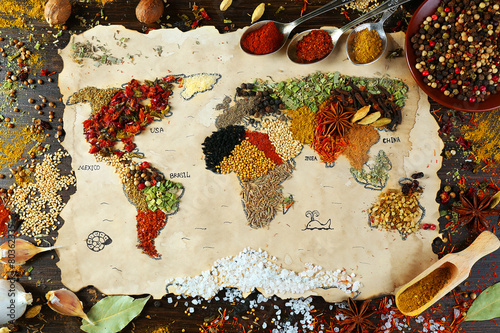 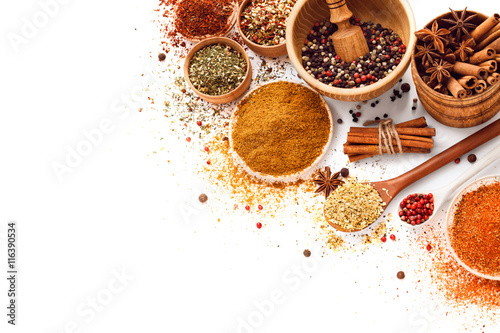 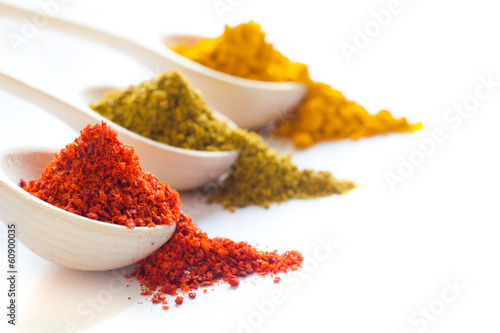 Spices and herbs.Food and cuisine ingredients.